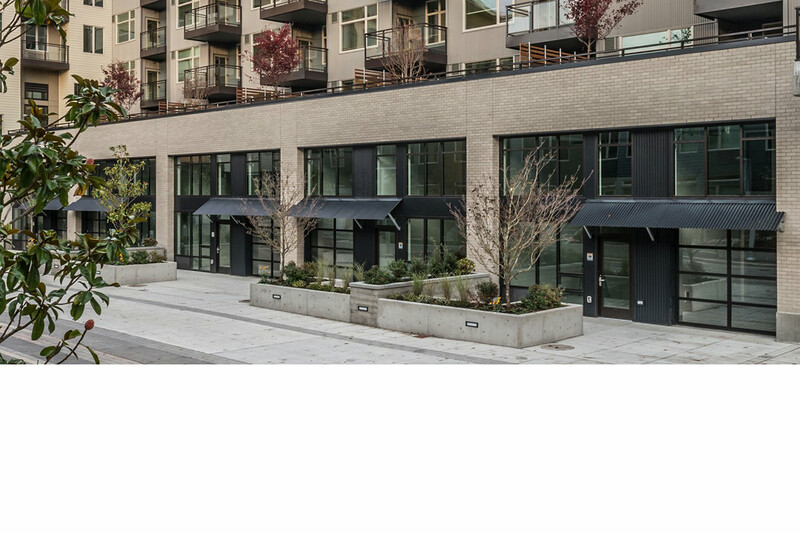 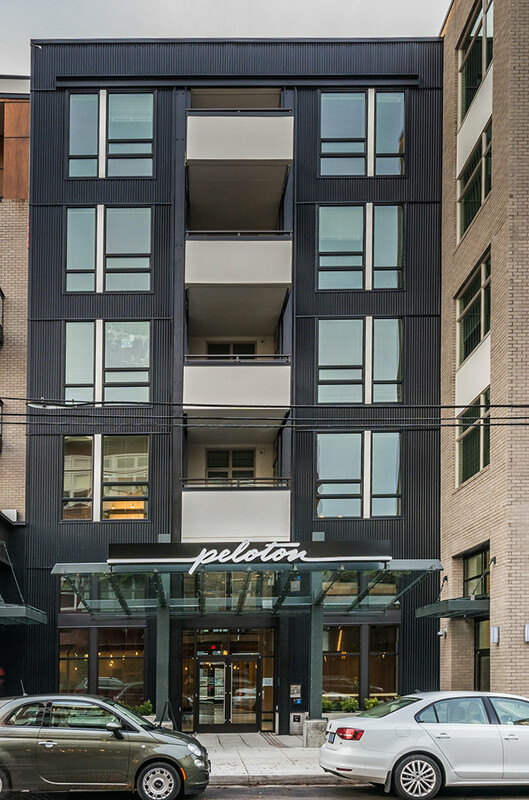 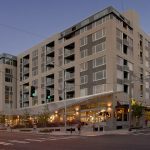 Peloton is located on a full block along North Williams Street in the emerging Boise neighborhood of Northeast Portland. 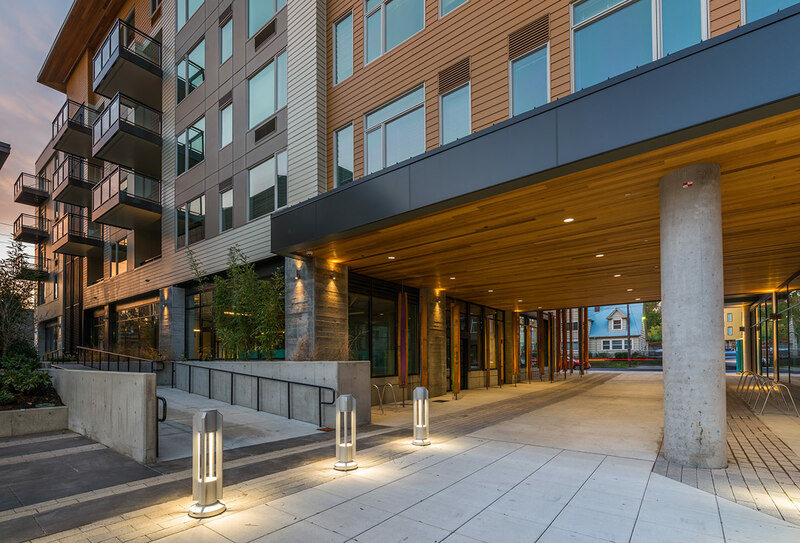 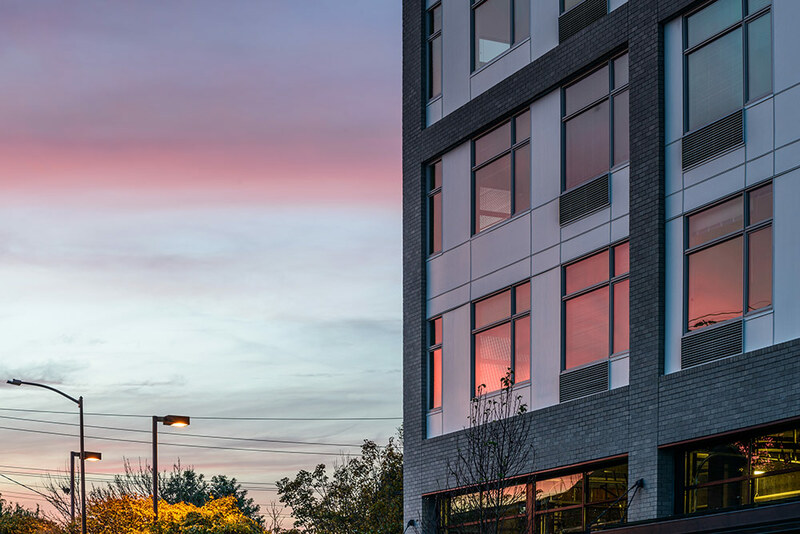 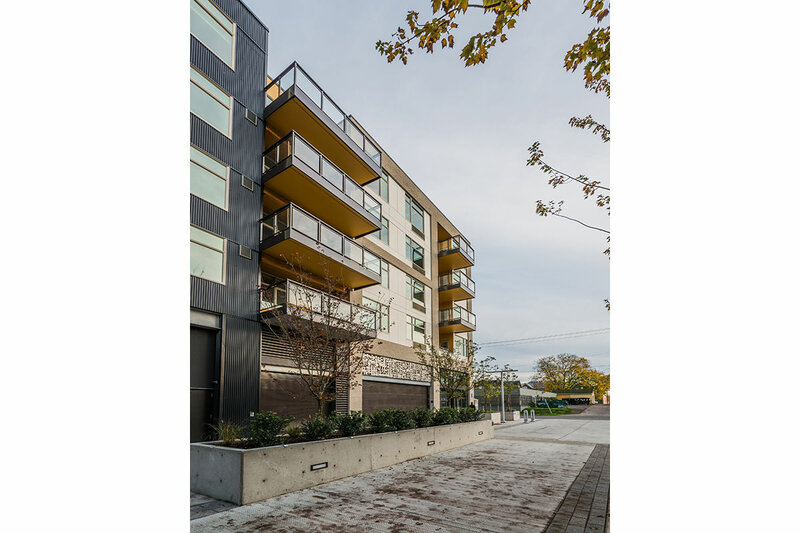 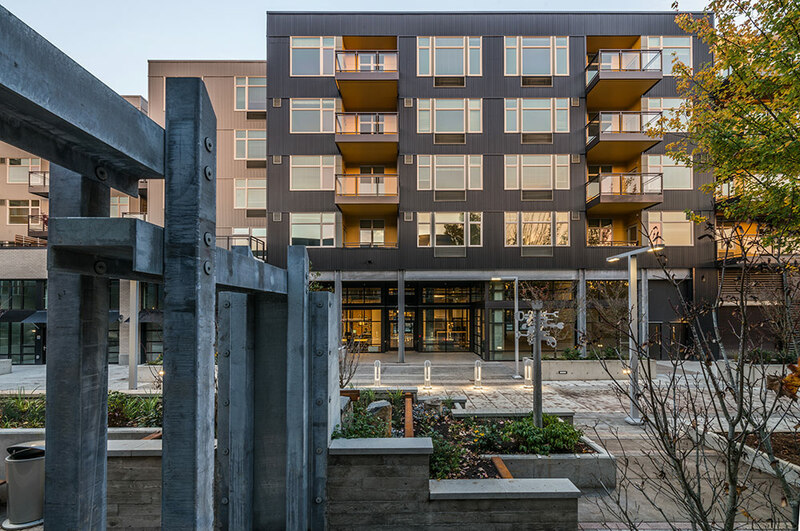 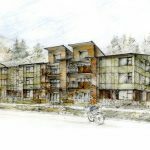 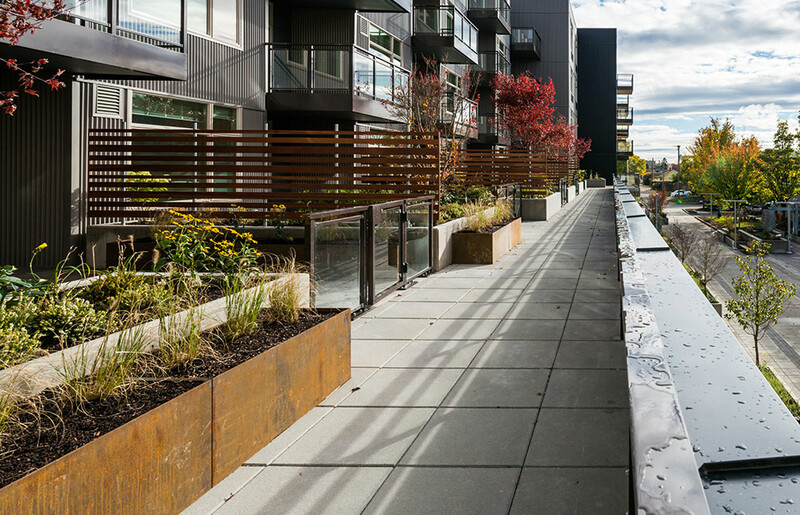 Bumgardner collaborated with MGA Architects from Portland to develop a site plan for the entire block. 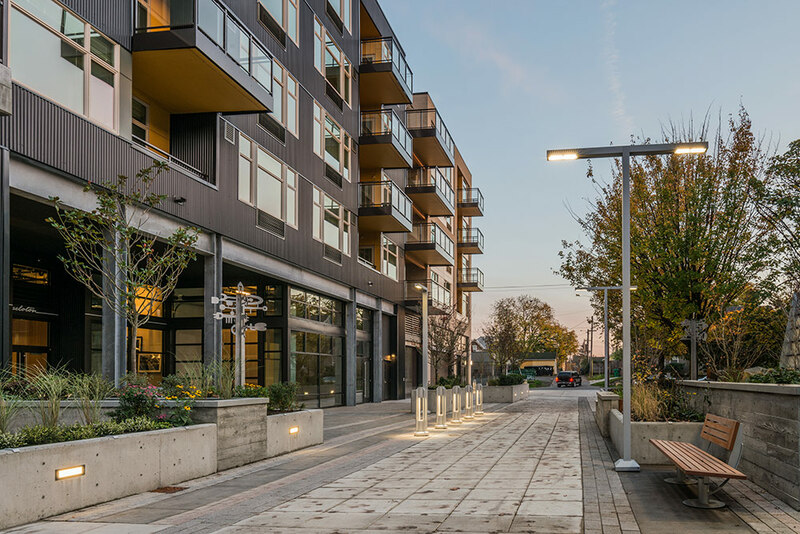 This site plan locates three street facing buildings along the four perimeter streets and re-introduces a once vacated alley as a woonerf/courtyard to provide public outdoor space as well as access to woonerf facing “work/make” units. 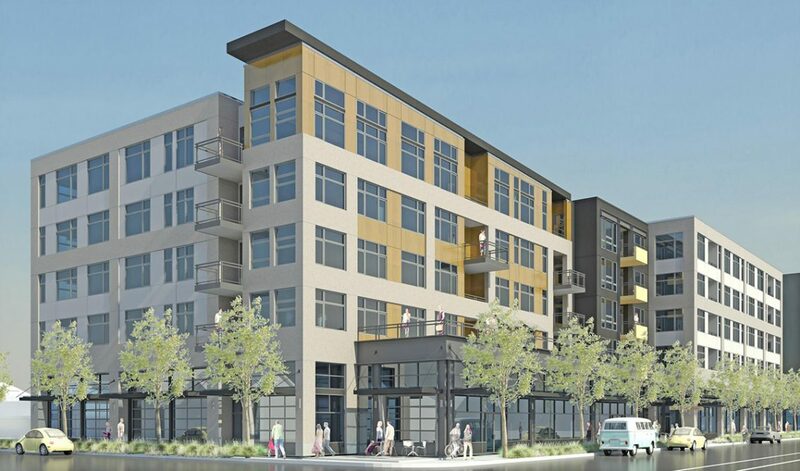 The entire project contains 250 units of housing, 40,000 sf of retail, and parking for 300 bicycles. 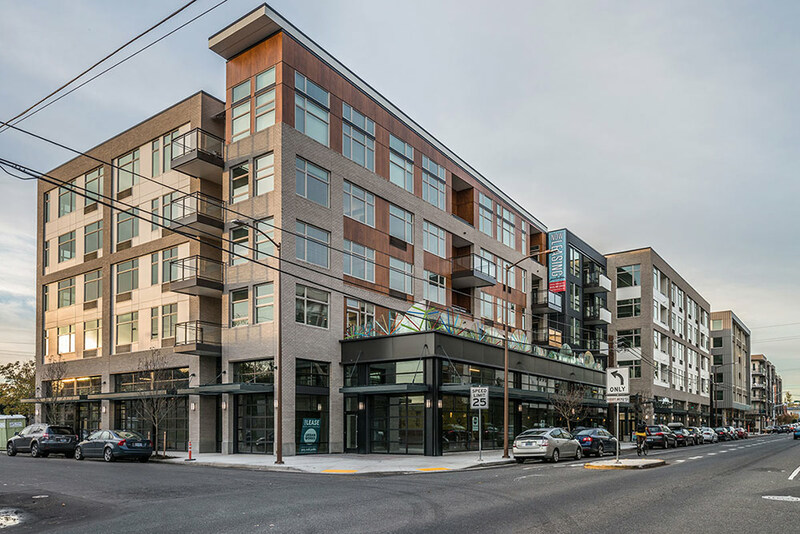 Bumgardner designed the five story mixed use structure at the key southeast corner of the site. 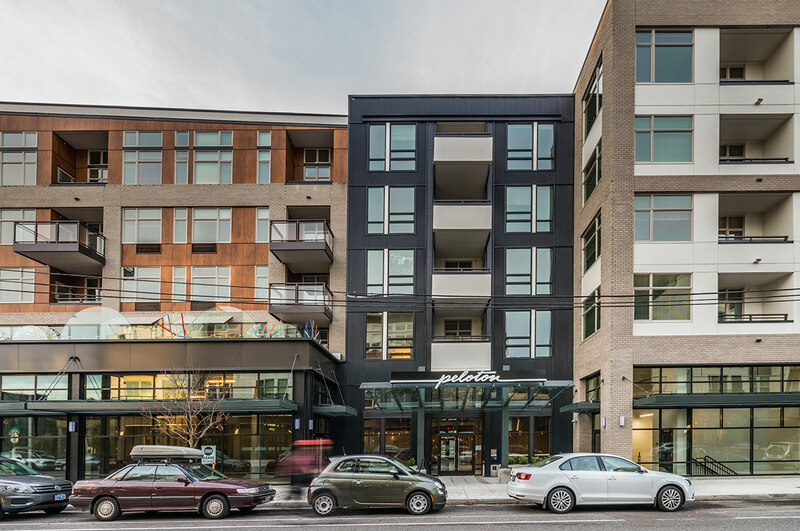 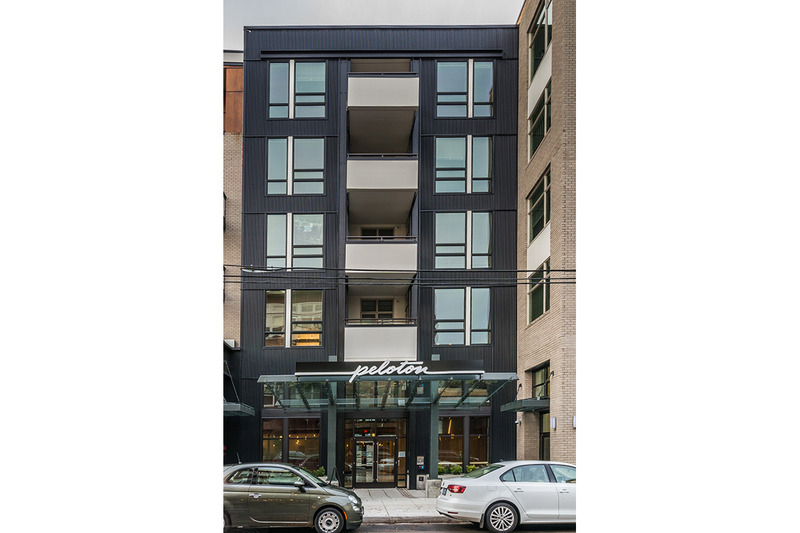 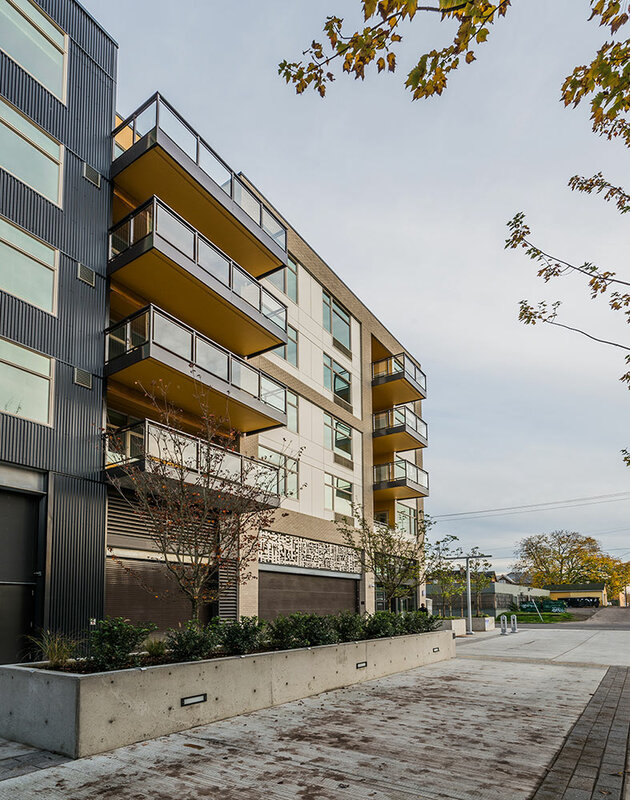 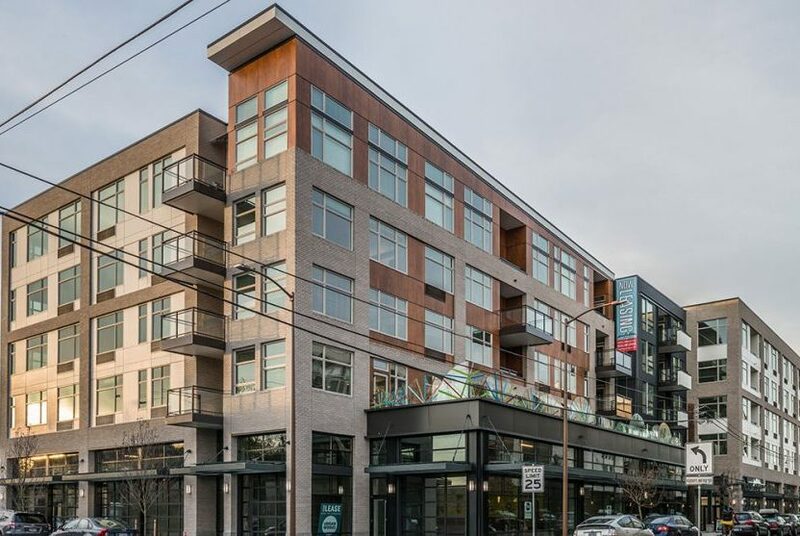 This building contains 170 apartments, including seven “Live Make” units and 28,000 sf of retail. 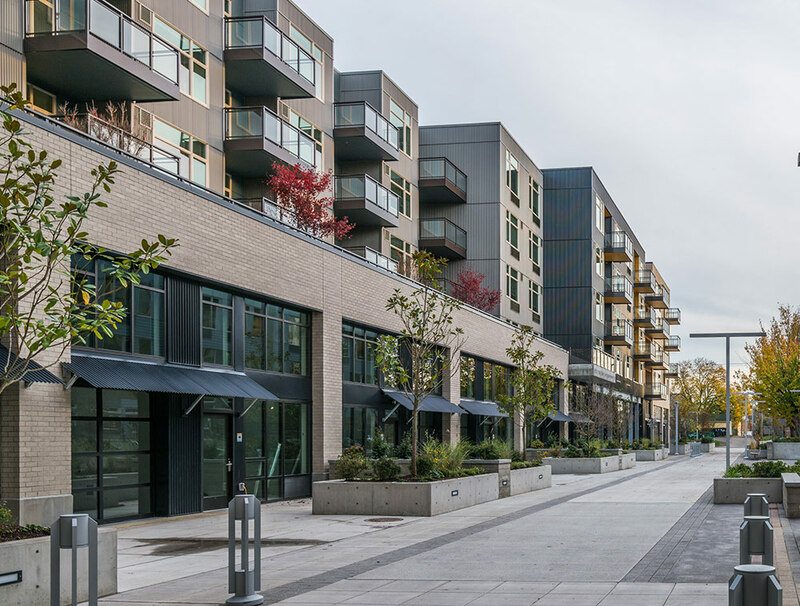 At street level, high ceiling retail spaces open to the street with multiple roll up glass garage doors on the south and west. 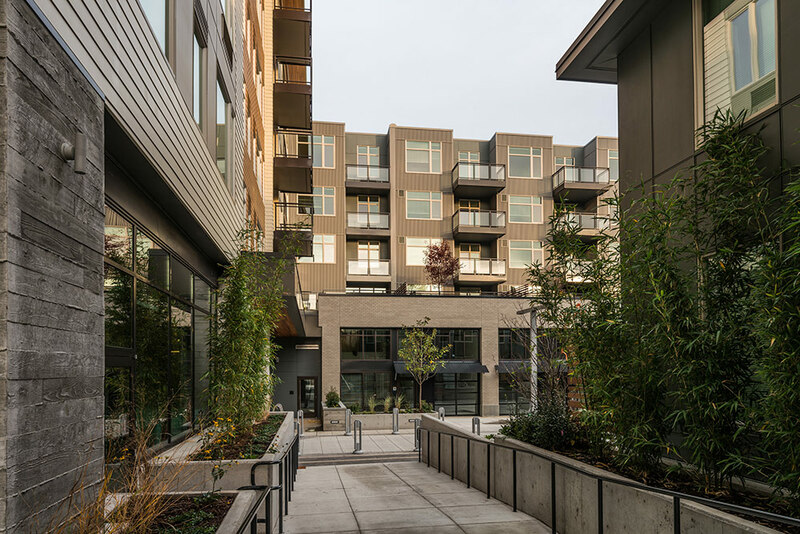 The southeast corner is capped with a long shed roof which funnels rainwater to a catchment pool located at a recessed courtyard that serves as the residential entry as well as the main retail entry.